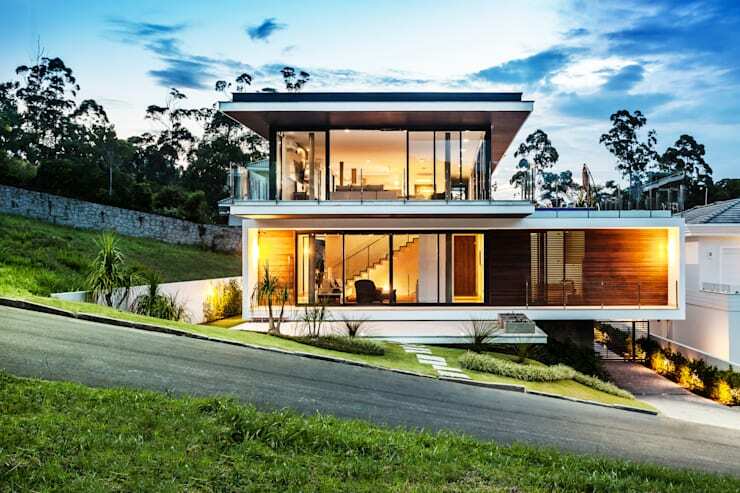 A big, luxurious house with stunning views of greens and cool waters is perhaps everyone’s dream. So to feed your imagination, we are going to tour the LB House today. 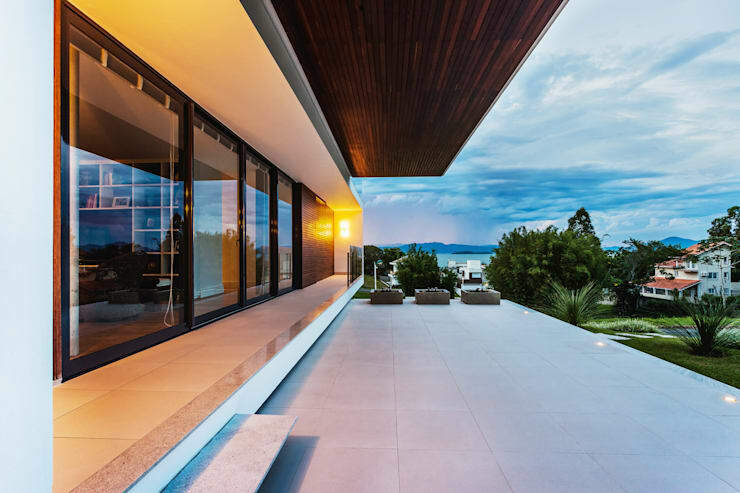 Rendered by the architects at Jobim Carlevaro Architects during 2012 to 2013, this villa is situated in Cacupé, Florianopolis, Brazil. 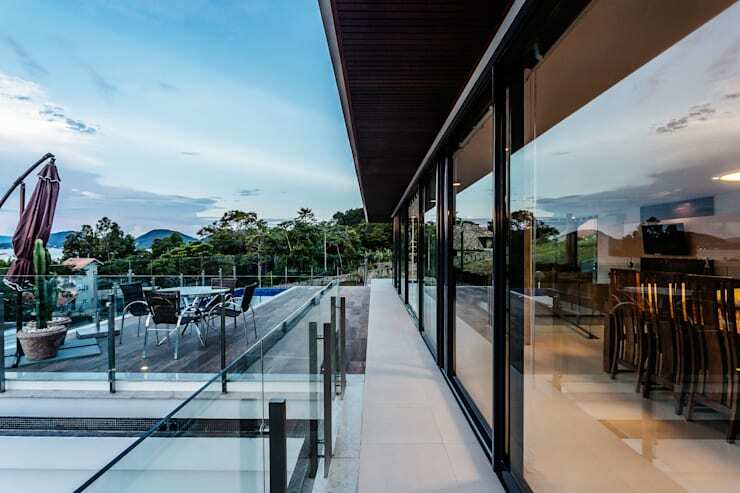 With an area of 18x34m available, the house features 3 levels and offers stunning views of the Cacupe Bay through lavish amounts of glazing. While the ground floor is reserved for the garage and other service areas, the ground floor comprises of the bedrooms, and the top floor features common areas like living and dining. 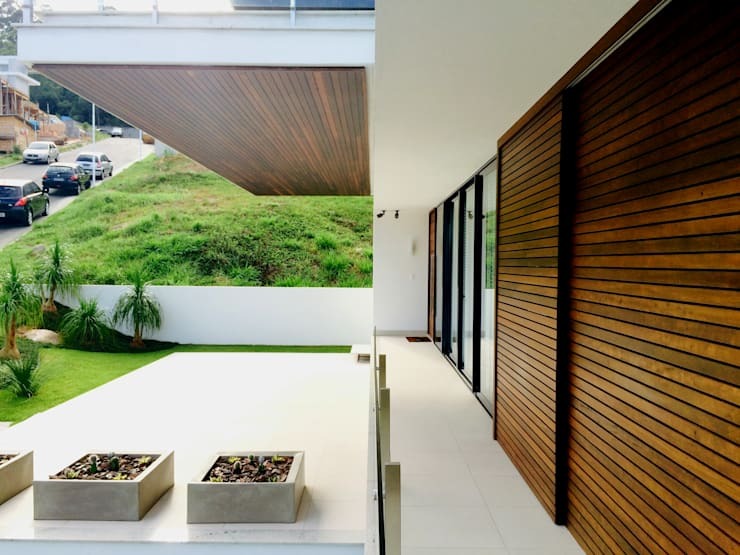 Wood, transparent glass, concrete and dark grey aluminium have been used to make the home visually arresting and bold. 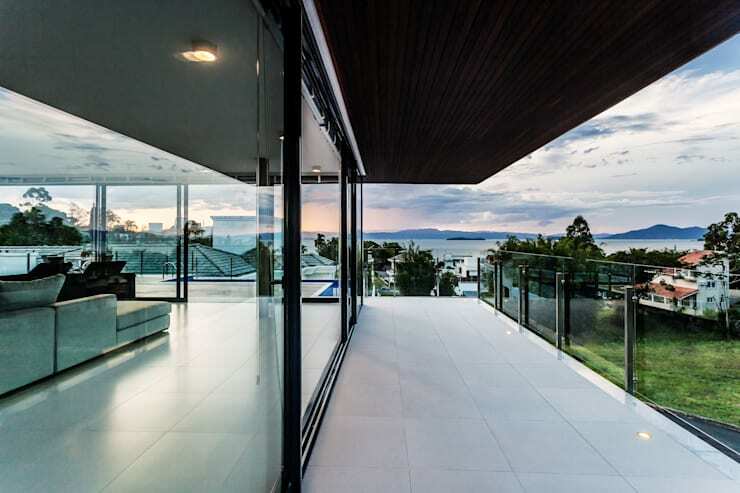 Thanks to the generous glazing on the front façade, the interiors receive tons of sunlight and stay bright and airy. 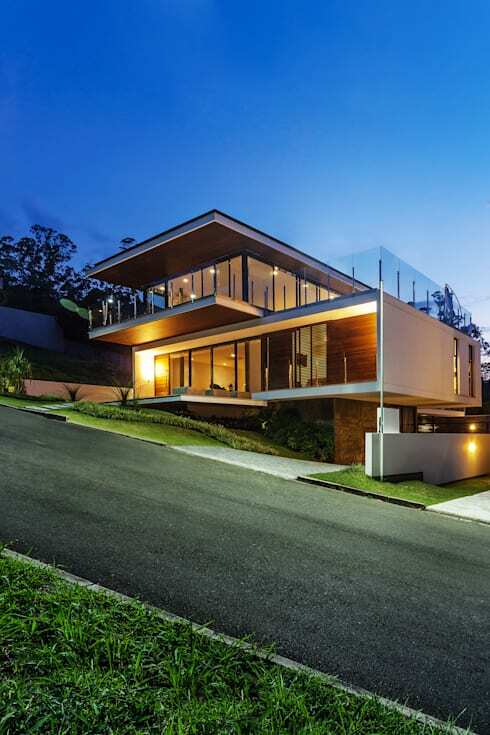 Built on a sloping plot of land, the house features sleek and trendy lines which define its levels and volume. 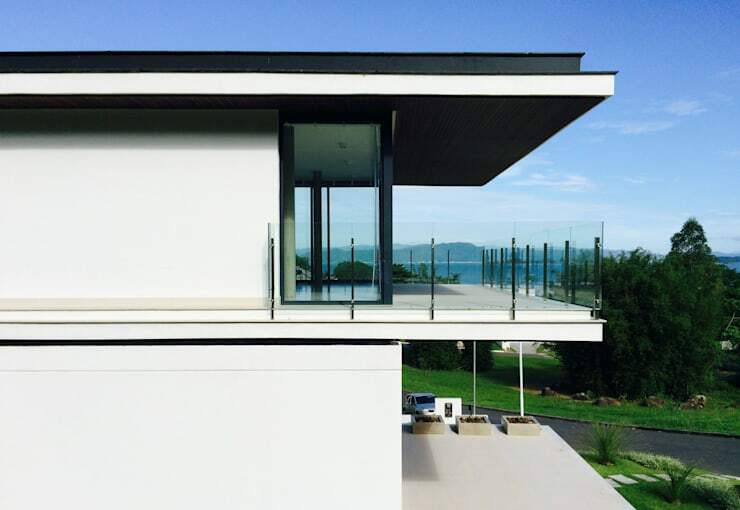 Luxurious glass doors and stylish glass balustrades ensure that the inhabitants enjoy unrestricted views of the Cacupe Bay. 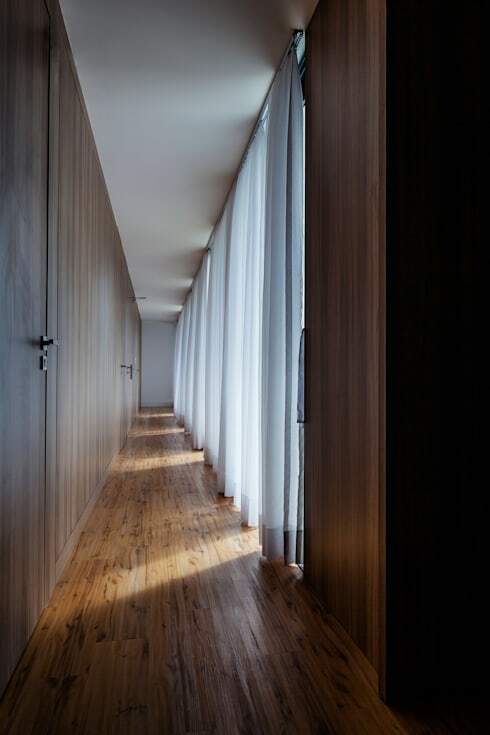 Glass also lends a feeling of openness, while wood offers warmth. A beautifully manicured garden surrounds the house, and the golden interior lights shine in the evening for a dreamy look. 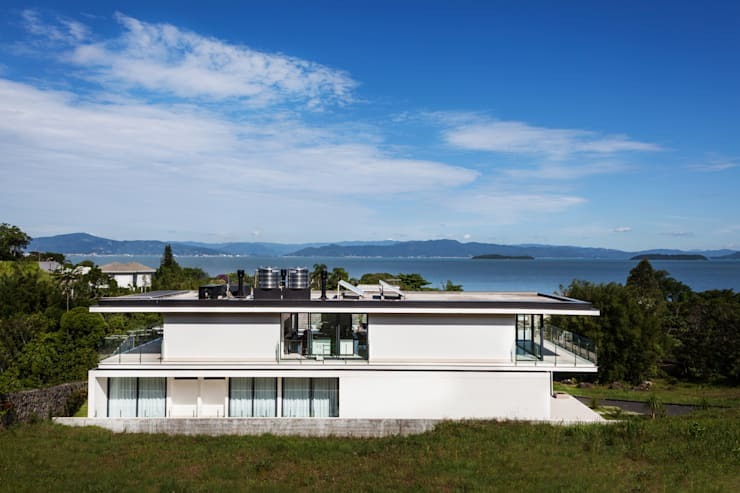 Owing to its loftiness and ultramodern shape, the house attracts envious glances during the daytime as well. Large and airy terraces on both the ground and top floor make perfect spots for enjoying fresh air, reading, sunbathing or cosy chatting. This long and open terrace offers charming views of the blue bay as well as the lush green surroundings. It is airy, bright and invites with its soothing cream and wooden colours. Apt spot for hosting barbeques, picnics, or casual parties. 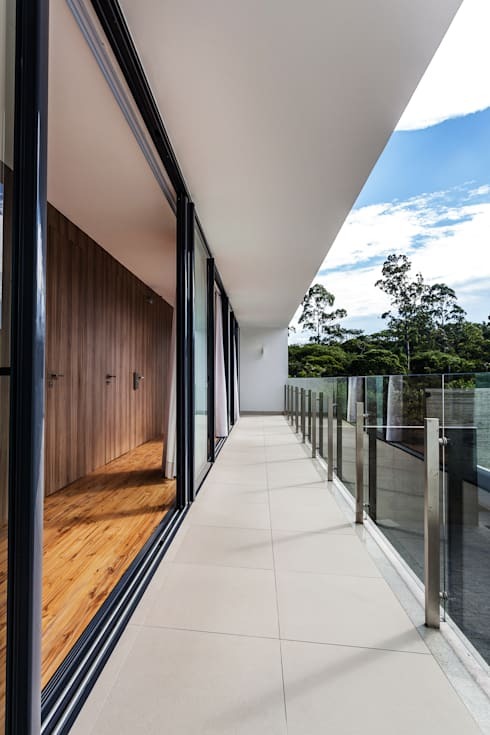 With clear glass balustrade on one side and wall to wall glass sliding doors on the other, the ground floor terrace is a very bright and open space for admiring the refreshing outdoors. White dominates the terrace while warm wooden hues appear inside for a cosy feel. The black metal frames of the glass doors lend character here. 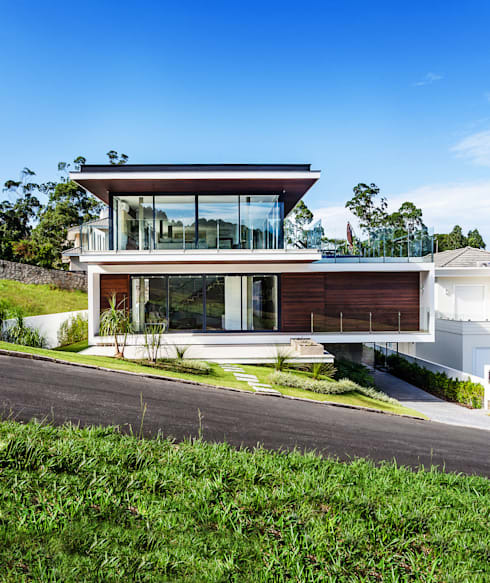 Massive glass doors also appear on the top floor to integrate the living and dining areas with the spacious terrace and the natural beauty outside. The overall effect is stunning, ultramodern and very elegant. Another side of the top floor terrace also features the gorgeous infinity pool with stylish seating on the wooden deck. You can take a refreshing dip in the pool while soaking in the gorgeous views of the bay and lush vegetation. 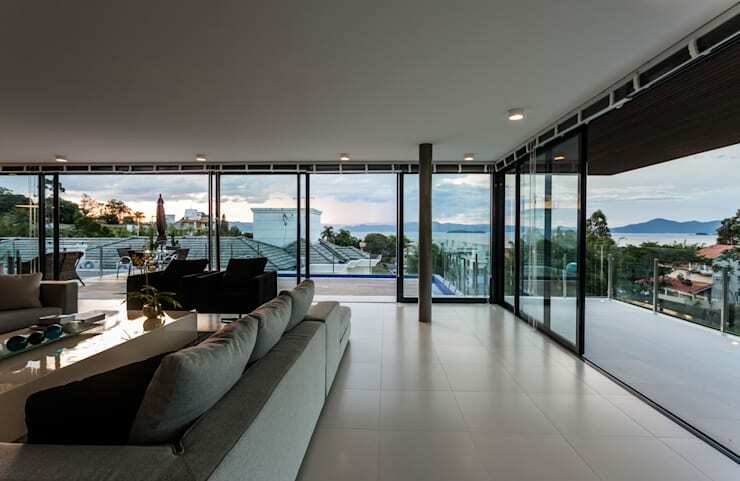 Owing to the luxurious amounts of glazing surrounding it so stylishly, the living area looks open, bright and refreshing. Trendy and cosy sofas invite you to sink in, relax or entertain with ease. From here, you get to admire the backside of the property and the way it opens up to the beautiful Cacupe Bay. 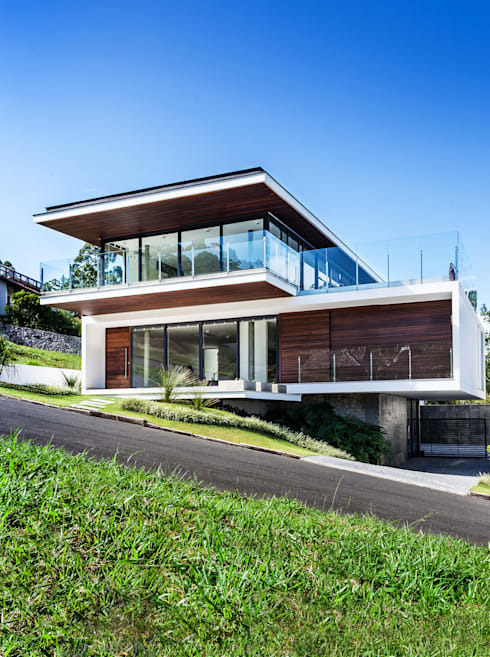 The combination of white, glass and slim black detailing help this modern structure to stand out despite its lush natural surroundings.